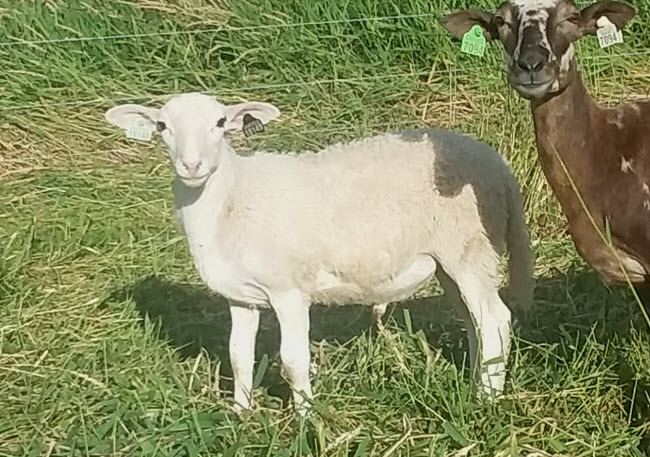 White ram lamb with really strong growth and milk scores, solid twinning genetics, and good survival. This guy will make a great all-around sire. EBVs from the 2018 lamb crop 120 day weight data. Photo taken in mid July. This ram is weaned and ready to go to a new breeding home today!